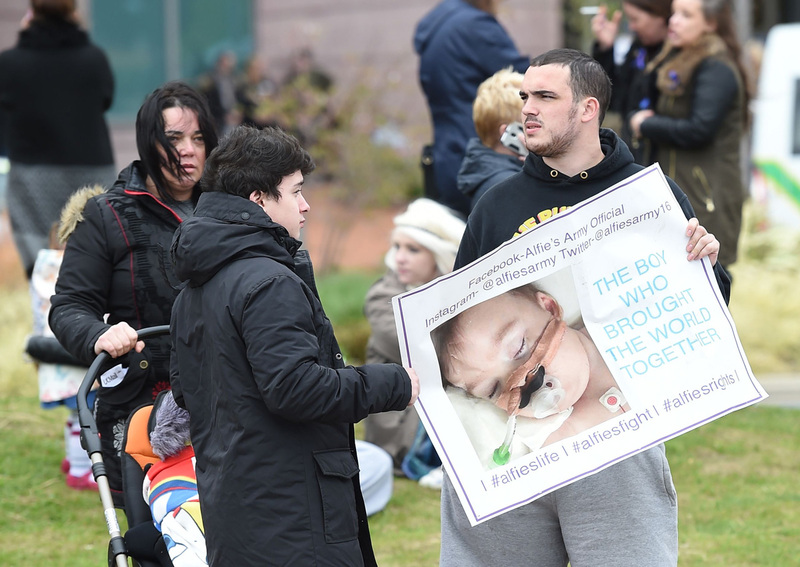 LONDON - A judge has ruled that terminally ill British toddler Alfie Evans will not be allowed to go to Rome for further treatment but can go home, following a court appeal by his family on Tuesday (April 24). Judge Anthony Hayden told a High Court hearing in Manchester, north-west England, that the long-running case had now reached its "final chapter" as he turned down a bid to take the 23-month-old to Italy to continue medical treatment. Hayden had on Monday rejected another appeal by the parents, Tom Evans and Kate James, for a delay in order to give them time to present a new challenge. The ruling allowed doctors at Alder Hey Children's Hospital in Liverpool, north-west England, to withdraw treatment. "Moved by the prayers and immense solidarity shown little Alfie Evans, I renew my appeal that the suffering of his parents may be heard and that their desire to seek new forms of treatment may be granted," the Pope said on Twitter. On Monday, a large group of protesters attempted to storm the entrance before being blocked by police.